Trevor McKinney is a kind teenage boy who lives with his irresponsible and troubled mother Arlene. Sometimes Trevor becomes exhausted by looking after his mother, who is an alcoholic, but he is diligent in his care for her, taking on a role far beyond his years. At school, though, he is fairly timid, and he doesn't do much to try to stand out. At the beginning of seventh grade, his new teacher, Eugene Simonet, fills his head with inspiring ideas and encourages him to come up with some of his own. 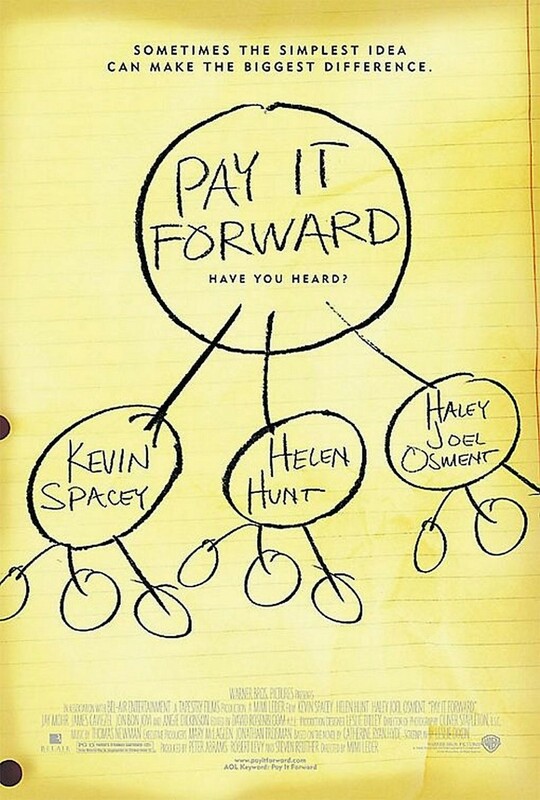 Trevor develops the Pay It Forward concept, by which people do something kind for three other people, and those people each pass kindness on to three others. Thereby, he hopes to start a revolution.